materials: macrame cord, 3mm crochet hook, 8.8 metallic purse frame, thread and needle. Round 2: Working on back loops only. 1sc in each stitch across until 2 stitches remains, 2sc to the next stitch, 2sc to the last stitch. Keep working to the other side, 1sc in each stitch across until 2 stitches remains, 2sc to the next stitch, 2sc to the last. Round 3: Working on back loops only. 1sc in each stitch around. 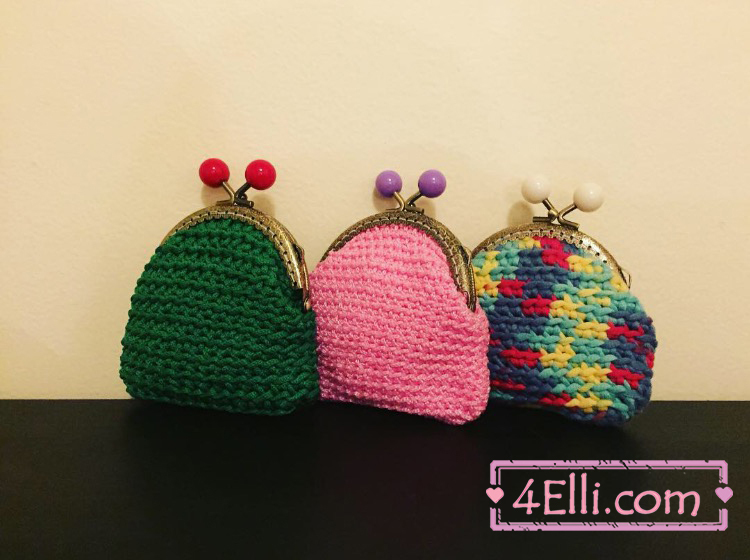 *In the end of round 17 slip stitch to the 1st stitch, cut the yarn and finish your work. 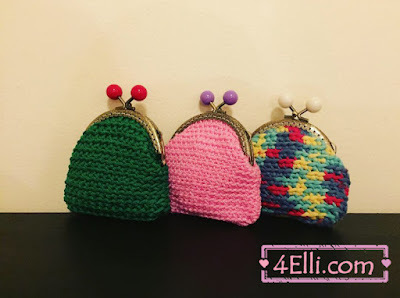 You can watch our video tutorial which shows you how to make the coin purse step by step.